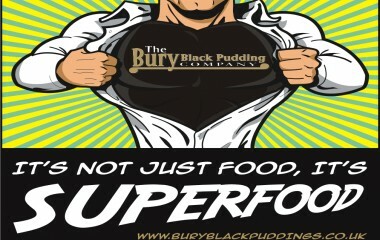 Black Pudding has been hailed as a super food by national newspaper, The Daily Mail. So, with a determination to be healthier at the top of many people's list of New Year's resolutions, we thought that we would look at exactly how our black puddings stack up against the competition when it comes to adding a healthy mouthful to your breakfast. Let's get past the gore first, yes, the primary ingredient in black pudding is blood, but all that means is that black pudding is naturally high in iron and zinc. Iron is great for a healthy body helping to metabolize proteins and playing a vital role in the production of hemoglobin and red blood cells. A deficiency of iron can lead to conditions like anemia, coughs and fatigue. Zinc meanwhile, helps maintain an active immune system, aids healing and helps the body to break down carbohydrates. For many people fat is the main area for concern, but not all black pudding is made equal, some poor quality products contain as much as one quarter fat. In a comparison of 25 black pudding products our black pudding slices have the lowest levels of fat available, at less than 3%, making them the perfect choice for people looking for a great tasting product that can fit with their healthy lifestyle. Most people mistake the flecks of white in our slices to be fat. While a small few are, in reality most are grains of barley, a superfood in itself, providing blood glucose stabilization, cardiovascular protection, and cancer prevention, this ancient grain serves as more than just a bulky filler. 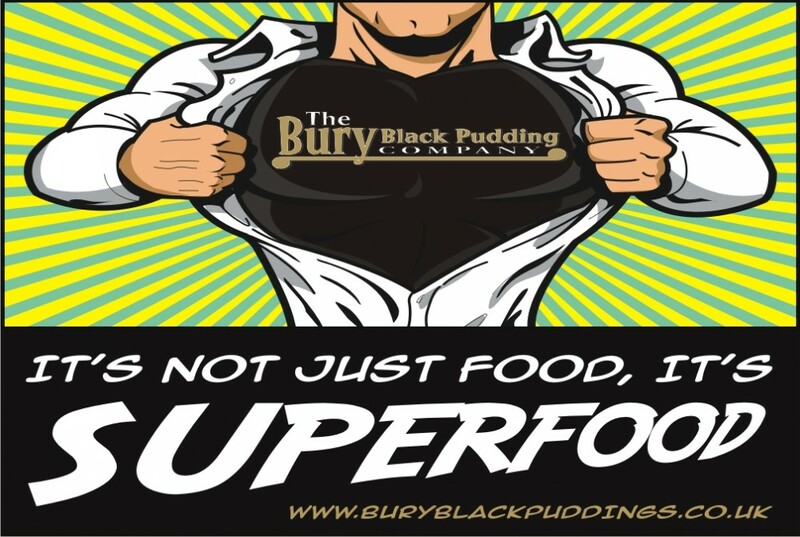 As we are black pudding specialists you won't find any artificial ingredients, preservatives, processed meat, suet or minced fats in our black puddings. Everything we use has been specially selected as the finest possible ingredients. Our dedication to quality has helped us become the leading black pudding brand in the UK and is how we continue to win numerous awards for our distinctive taste and texture. In short our black pudding is a clean healthy product that has all the hallmarks of a superfood and is well deserving of the title. No artificial ingredients or preservatives, just a host of naturally derived goodness and nutrition. The most important thing, of course, is that as well as all the goodness that our black puddings offer, they taste amazing too. Our recipe dates back over 100 years and is a closely guarded family secret. Generations of families continue to enjoy our black puddings every week and because they are available on the shelves for major supermarkets and independent retailers nationwide you can try for yourself and feel the benefits too.